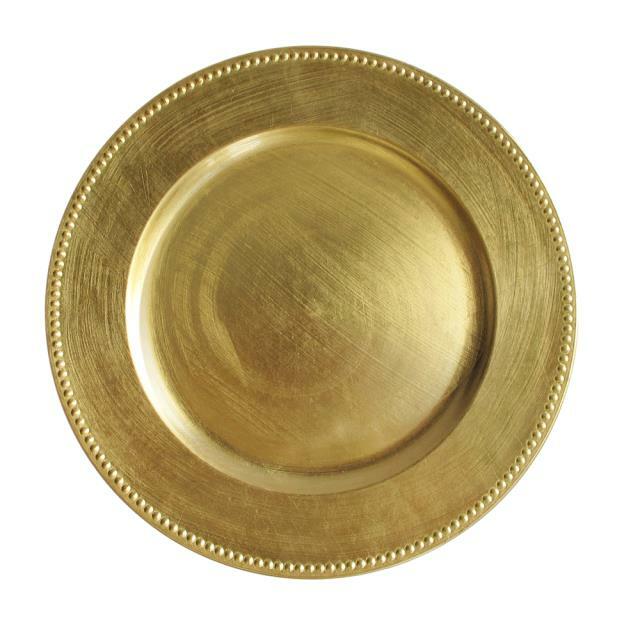 Add a pop of color to your dining area with this 13" round gold beaded melamine charger plate! Boasting an upscale appearance, this charger plate is great for enhancing food presentations at your event. Its ample 13" diameter provides plenty of room for serving soups, salads, and entrees. Plus, its classic, beaded rim and bold, gold color will further accent your table setting. * Please call us for any questions on our charger gold bead rentals serving Corvallis OR, Albany OR, Salem OR and surrounding areas.